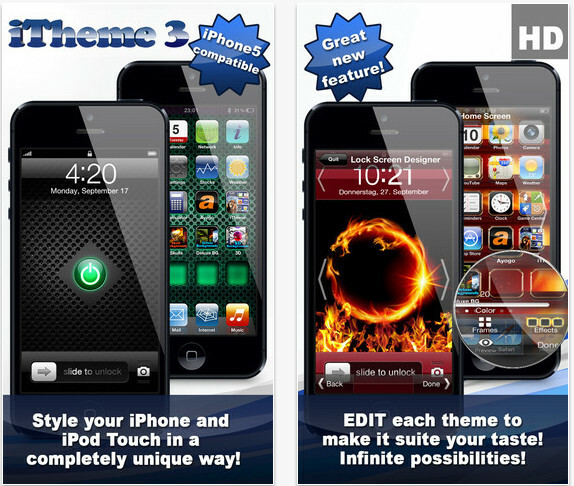 iTheme (iPhone/iPad) ~ Android Forever! Developer Quote: "MORE THAN 350 THEMES FOR iPHONE, iPAD AND iPOD TOUCH! *** INCREDIBLE STYLING *** NEW THEMES ADDED ALL THE TIME." 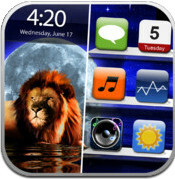 Make your iPhone or iPad your own with this awesome theme app! OK, you have a distinctive case, but apart from that, does your device look just like everyone else's? Now you can put the stamp of your own unique style and personality on your lock screen and home screen too! Theme Editor: Edit each theme to make it exactly suit your taste! Infinite possibilities! Click on the app icon below to get it on iTunes for only $0.99!